Medium oak laminate flooring has most natural look of all colours and decors. It is suitable for creating traditional and contemporary look of your home. Medium coloured oak laminate flooring can be combined with all colours of furniture and walls. Oak laminate flooring in light colours looks great if it is combined with light or dark furniture. If you want to achieve calm, serene feel of room, you should harmonize light oak laminate with light furniture. Walls also have to be in light colours. Light rooms give airy and tranquil feel. This kind of rooms are great for sleeping, meditating or for other calming activities. Oak laminate flooring in dark colours has very traditional look. 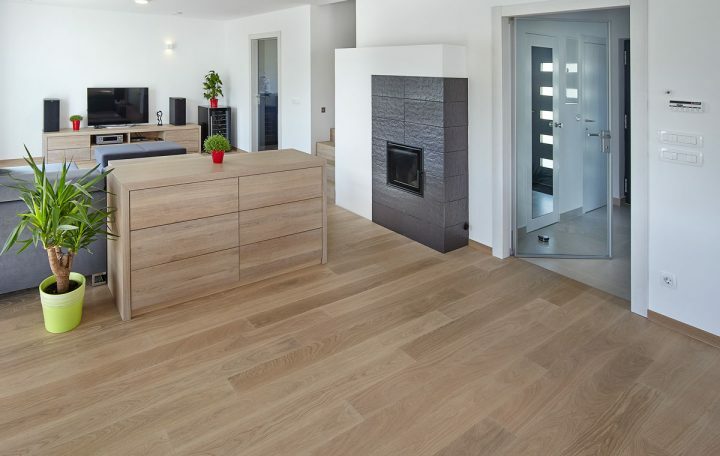 Our clients commonly install oak tiles in living rooms, kitchens, hallways. Dark oak laminate goes well with light furniture and light walls. Beautiful contrast which is created with oak floors and furniture is very appealing and popular. Dark oak laminate flooring is usually installed in big vast rooms with plenty of natural or artificial lighting. Coloured laminate flooring is made from high quality materials. Coloured laminate flooring manufacturers have raised the bar in quality of their products. With technology that our suppliers use, all kinds of colours, decors and surface textures can be made. Light, dark and medium colours of oak décor tiles can be used together to create beautiful coloured patterns which enhance rooms. Medium oak laminate flooring is most popular choice among our clients. It is very universal so it can be used anywhere. Medium oak laminate flooring is great for all rooms in your home. If you choose water resistant medium oak laminate flooring, you can install it in your kitchen and bathroom. Water resistant medium coloured oak laminate flooring can be cleaned with soap and water so it is perfect for babies and people with allergies. We sell medium oak laminate flooring from many different renounced brands. Our suppliers are located all around the world because we seek the best coloured laminate flooring. Diverse materials from different countries suit all kind of our clients. Each renounced brand has collections of their products which suit different client. Prices for coloured laminate flooring depend on many criteria. Most important criteria which sets the price for medium oak laminate flooring is durability. 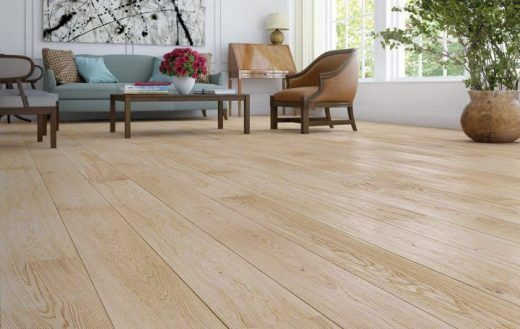 Durability does not entirely depend on thickness of oak décor tiles. Thickness of coloured oak laminate flooring tiles ensures good stability and sound buffering. Thickness and quality of top layer determines how durable medium oak laminate flooring is. Top layers of medium oak laminate flooring are made of different quality materials. Some are more resistant to wear and tear and others are not. Durability of medium oak laminate flooring is indicated with abrasion classes. Beautiful laminate flooring is installed with floating method. We recommend installing medium oak laminate flooring with underlayment which is laid on subfloor. This method does not require use of glue. Because there are no toxic fumes, floating method is environment and health friendly. Another advantage of floating method is immediate use of medium coloured oak laminate floors after installation. Each oak decor tile has a tongue and a groove that perfectly fit together. If oak décor tiles are properly installed there are no visible seams. If installation of medium oak laminate flooring is not done correctly, gaps between oak décor tiles can occur. In case dirt and water get into gaps, tiles will begin to swell and eventually mold can start to grow. This kind of damage requires replacement of entire medium oak laminate flooring. Installing click medium coloured oak laminate flooring is easy but if you don't have any prior experiences, it is best to hire professionals. That way your new coloured oak laminate flooring will last a long time. We also offer coloured oak laminate flooring with attached padding for eaiser and quicker installation. You save time because there is no need to search for suitable padding. Whole installation process of medium oak laminate flooring takes much less time to complete because you don't have to be so carefull with padding, there is almost no chance you can damage it. Underlayment for coloured laminate flooring is very important because it has many functions which protect tiles. For better stability of medium oak laminate flooring it levels out small imperfections of subfloor surface. It allows medium oak laminate flooring to breathe which means expand and contract. This occurs because of changes in room temperature and humidity. When installing coloured laminate flooring small space has to be left between wall and first row of tiles so medium oak laminate has room to expand. Underlayment also works as a humidity, temperature and sound barrier. If colored laminate flooring is installed on concrete surface, it has to be completely dry, clean and levelled if you want your floors to last.